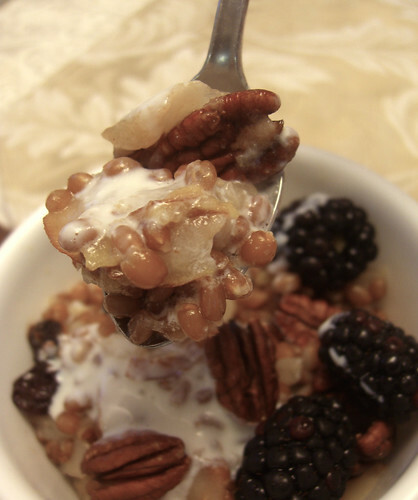 Wheatberry Breakfast Bowl | ohcrumb! “When you wake up in the morning, Pooh,” said Piglet at last, “what’s the first thing you say to yourself? “What’s for breakfast?” said Pooh. “What do you say, Piglet?” “I say, I wonder what’s going to happen exciting today?” said Piglet. Pooh nodded thoughtfully. “It’s the same thing,” he said. I think Pooh is onto something. There’s nothing quite like starting off the day with a good breakfast. When I think of hearty breakfasts, things like sausage, bacon, corned-beef hash*, eggs, pancakes, homefries, smiley potatoes (Oh Wellesley midnight breakfast, I miss you! ), etc. come to mind. And I truly love all of those things. They’re part of the reason breakfast is my favorite meal of the day. 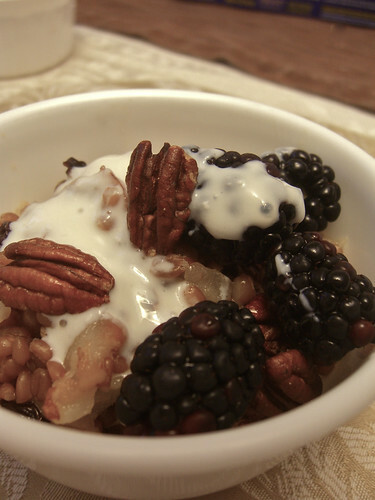 Today, I’m adding another thing to that list: the wheatberry breakfast bowl. “Wheatberries? ?” you might be thinking. How could something like that, that sounds so…healthy, so decidedly not fun… fit in with all that other tantalizing breakfast fare? All I can say is, it’s feel-good stuff. SO SO SO good. Heartwarming. Soulwarming. Bellywarming. I’m still awfully full four hours later. * I used to be totally grossed out by corned-beef hash because I thought the litte white chunks in it were solid cubes of fat. Then one day, my sister told me they were actually potato, and I fell in love. Directions 1. Heat the olive oil and butter in pan. 2. Sautée the pear slices in the oil and butter over medium-high heat. Keep an eye on them so they do not burn. They should be a bit golden. 3. 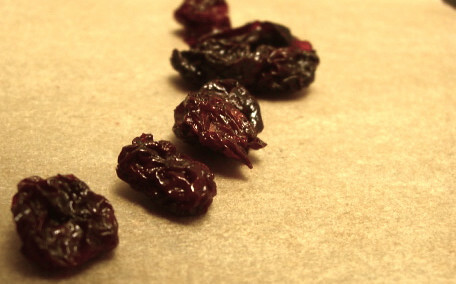 Add the tart cherries and cook just a little bit until softened and some are beginning to split. 4. 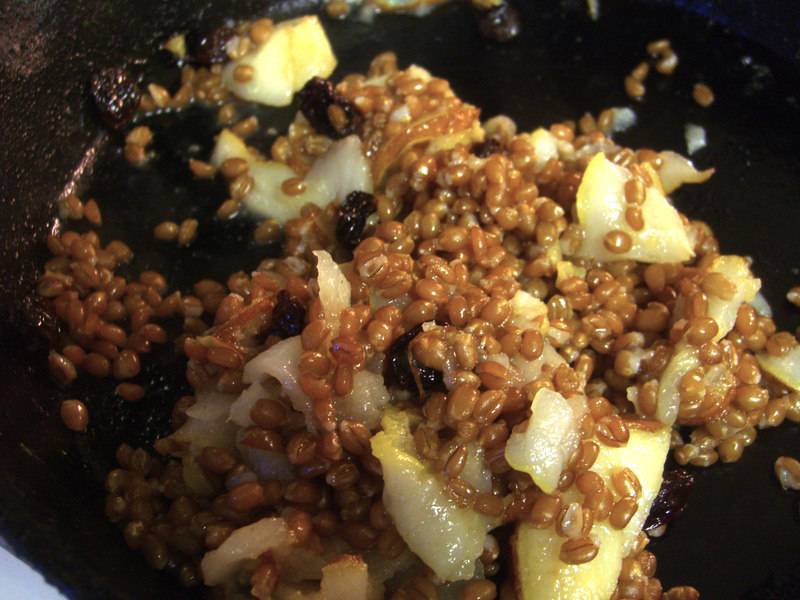 Add the cooked wheatberries and stir to mix. Set aside. 5. Mix the yogurt with maple syrup to taste. 6. 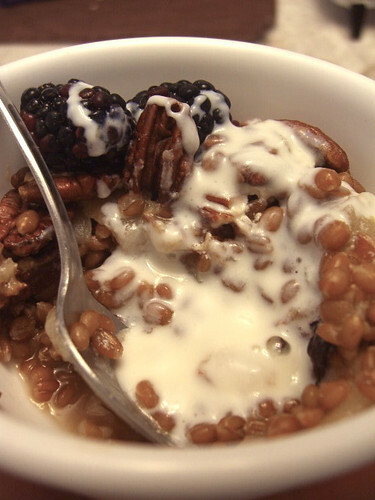 Spoon a generous serving of maple yogurt over the wheatberries and sprinkle with the toasted pecans. * Wheatberries can be made in advance. To cook wheatberries: Soak wheatberries overnight. Place the wheatberries and water in a pot. For every cup of uncooked wheatberries that you want to cook, you will need ~3 cups of water. Bring to a boil, then turn down heat to simmer for ~50-60 minutes. The wheatberries will still be firm when done, so you will need to try them to see if they’re done. Some may also split a little when done. **If your pecans are untoasted, spread a single layer of pecans on a baking sheet and toast at 350 degrees F for ~8 minutes, or until slightly fragrant. They can burn quickly, so keep an eye on them.